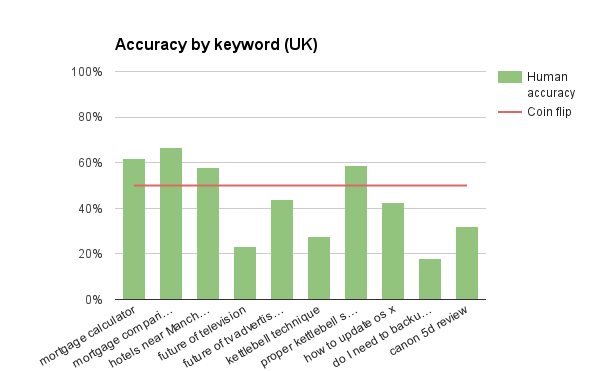 I’ve participated in each iteration of Moz’s ranking factors survey since its inception in 2009. 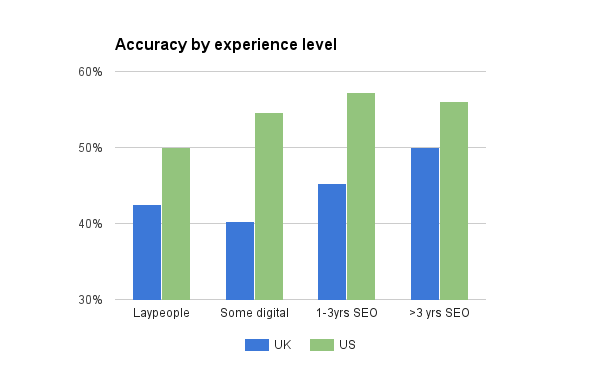 At one of our recent conferences (the last time I was in San Diego for SearchLove) I talked about how I used to enjoy it and feel like I could add real value by taking the survey, but how that’s changed over the years as the complexity has increased. I’ve included a bit more about the methodology and some early results below, but if you’d like to skip ahead and test yourself you can go ahead here. Note that to simplify the adversarial side, I’m going to let you rely on all of Google’s spam filtering — you can trust that every URL ranks in the top 10 for its example keyword — so you’re choosing an ordering of two pages that do rank for the query rather than two pages from potentially any domain on the Internet. You can take the survey either for the US (google.com) or UK (google.co.uk). 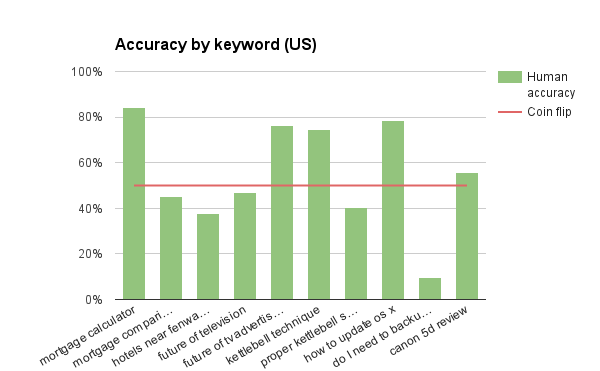 All results are considering only the “blue links” results — i.e. links to web pages — rather than universal search results / one-boxes etc. 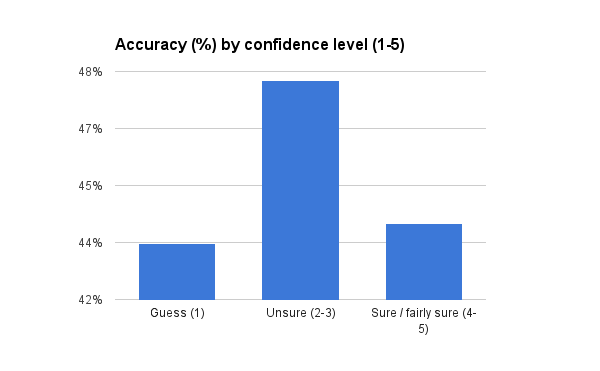 Digging into the data, there are a few of the US questions that are absolute no-brainers (e.g. there’s a question about the keyword [mortgage calculator] in the US that 84% of respondents get right regardless of their experience). 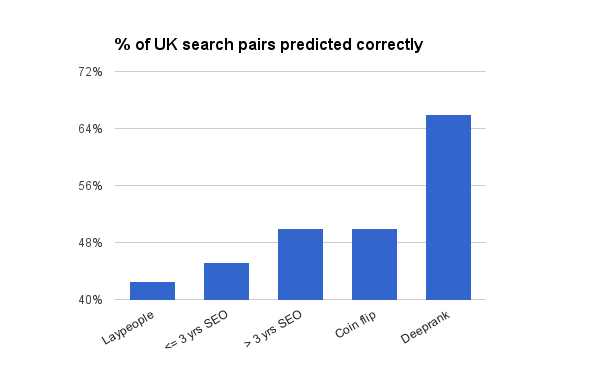 In comparison, the easiest one in the UK was also a mortgage-related query ([mortgage comparisons]) but only 2/3 of people got that right (67%). Is Google getting some of these wrong?